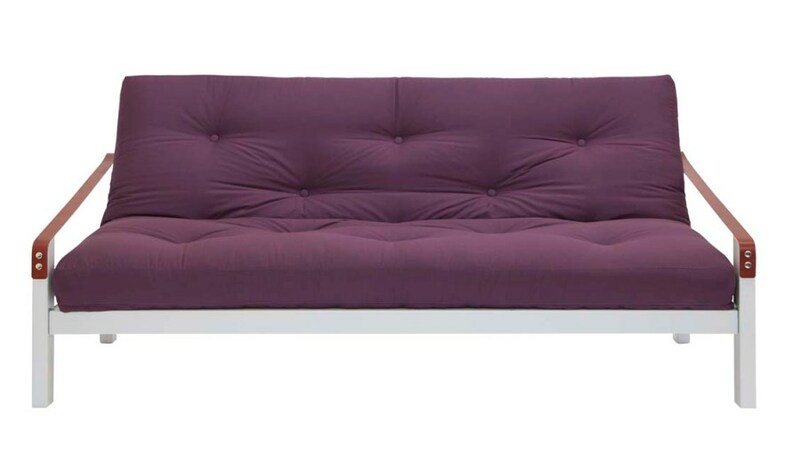 The Poetry is a simple, classic style futon sofa bed designed in Denmark. 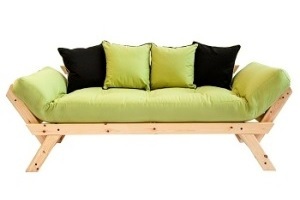 There is ample room to sit three people comfortably and it converts easily into a bed for two! 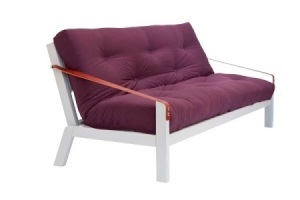 The Poetry futon sofa bed offers a simple, clean, style typical of it's Danish design. 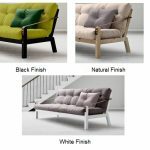 The sturdy frame is manufactured in FSC certified redwood pine from sustainable European sources and is offered in a choice of frame finishes from Natural finished pine through Black or White finishes, just make you choice from the menu above. The Poetry converts easily from a three seat sofa to a three quarter, 120 cm / 4ft, double bed ideal for guests to sleep on. 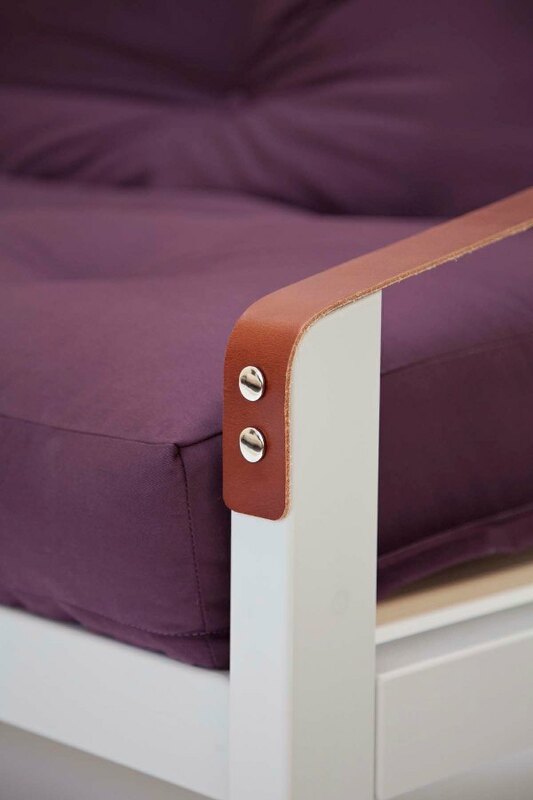 The futon mattress is one of our own specification 'bi-fold' types for regular use, choose between the standard 8-layer Ultra or the DeLuxe from the Menu above. 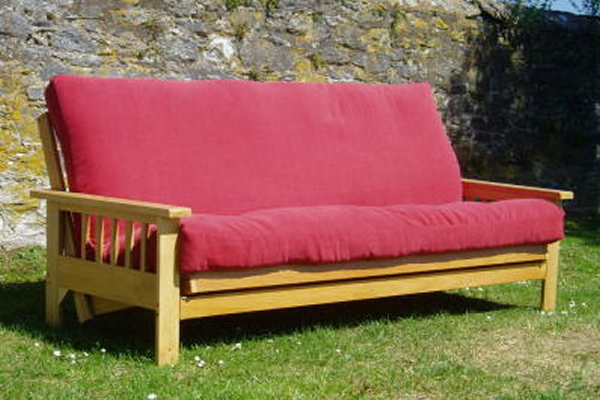 Strong and simple FSC certified redwood pine base with leather strap feature arm supports. Choice of frame finishes; Natural Pine, Black or White. 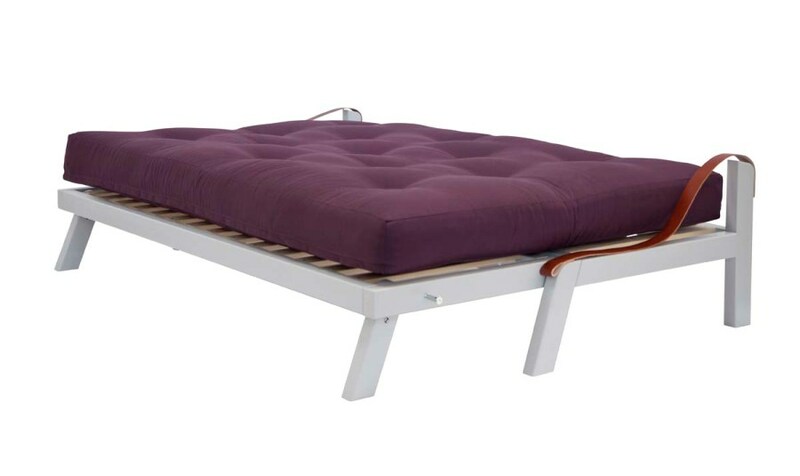 Two types of futon mattress available, the Ultra, an 8-layer regular use futon, or the DeLuxe featuring a foam core for everyday sitting and sleeping use. 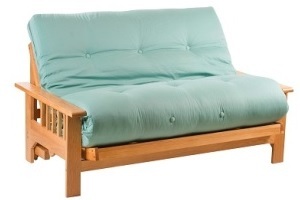 The futon mattress is upholstered in a choice of tough cotton drill fabrics. 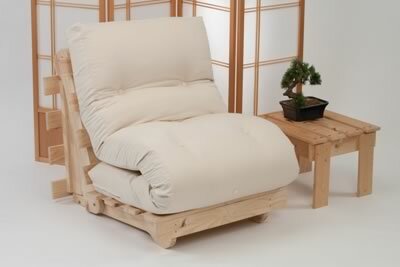 Extra loose fit, removable, covers are available if required, choose from the menu above. 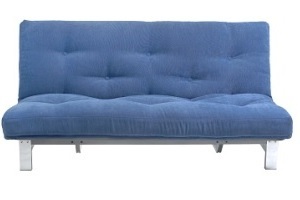 Self assembly is required on this model, allow 60 to 90 minutes, no special skills or tolls are required. 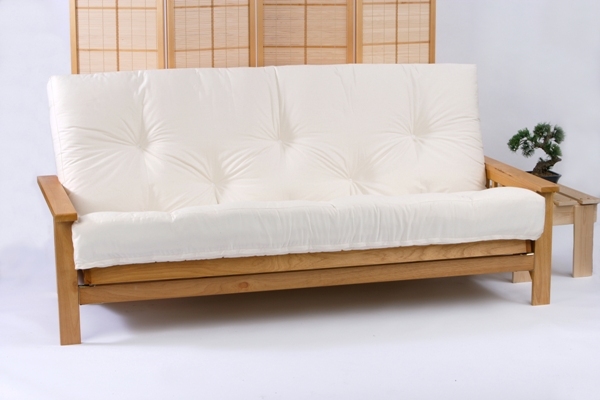 The Poetry Futon Sofa Bed is perfectly suited as both an everyday sofa and regular bed. Free UK mainland weekday delivery. For Ireland or UK off-shore please contact us for a quote. The Poetry is available on a 3 to 4 week delivery, we will contact you when your order comes into stock to arrange a suitable delivery day. 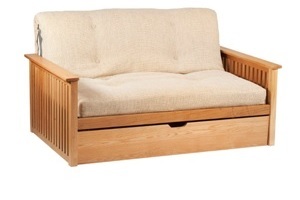 This item is delivered by parcel carrier to your home address on a pre-arranged week day to suit you. If you have any delivery questions please call us on 01752 226655 we are always happy to speak!